Media-kings and its Late! 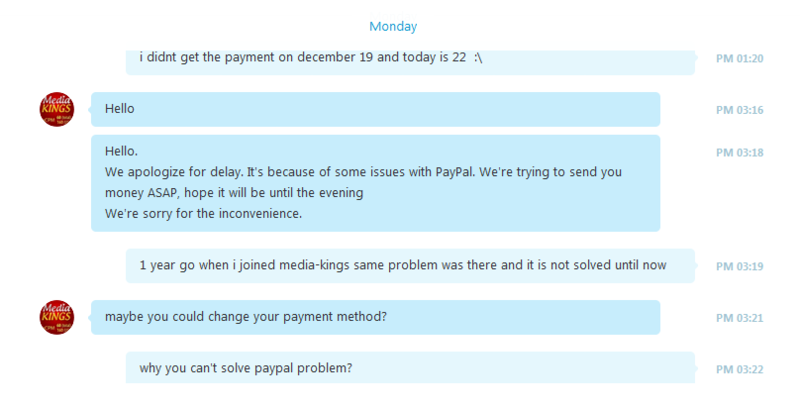 Paypal Problem! CPA Elites - CPA Marketing Forum CPA Marketing, Help Desk And Experiences Main CPA Discussions & Elites Helpdesk Media-kings and its Late! Paypal Problem! Media-kings -> Recieved my first payment late after 4-5 days, I thought it is first time they will pay me on date next time But i was wrong!. 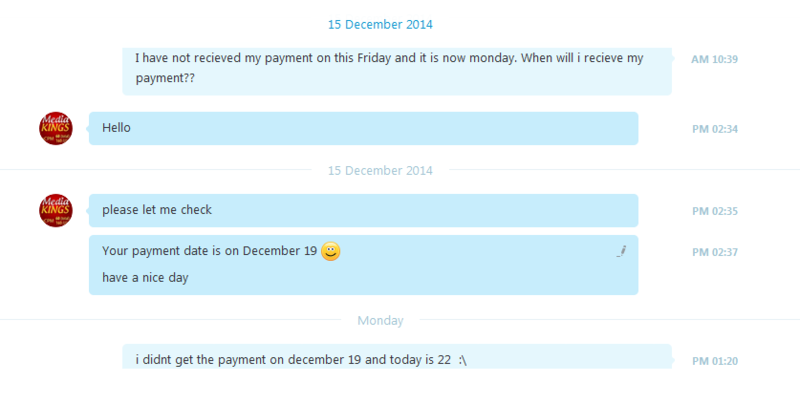 I remember i always have to inform them that i didn't recieved my payment. Most of the times i got payment late, almost everytime. I Have seen one other thread and comments on CPAe about media-kings and there late payments. I created this thread so that everybody including new members can know about this. 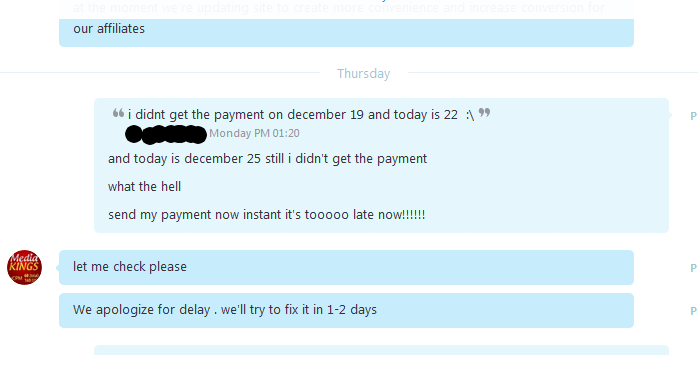 Read This Skype Chat you will understand they are toooooooo late lol! That Network is banned here bud, But id recommend you to join a better network than that. (2015-01-03, 10:44 PM)Airborne Wrote: That Network is banned here bud, But id recommend you to join a better network than that.